Not all jobs will not be replaced by robots including house cleaning, dog walking, beauty services — things that require more human qualities than a robot can provide, particularly the jobs that involve educating or building something for another person. Ikea can now use TaskRabbit to spend more time with customers in their homes. Ikea can help customers build furniture – and a variety of related tasks. A long-time customer of TaskRabbit I've hired TaskRabbits to haul goods for Goodwill donations, to fix our plumbing when I broke the garbage disposal, pack up and unpack my apartment when we moved into our new home, build our baby's crib — and the list goes on. There are many customers like me who love the convenience of hiring someone local to simply come to your house and help you with things you either can't do yourself, or don't want to do. I've had only very positive experiences with TaskRabbit. News broke this week that Ikea — the Swedish furniture maker that made revenue of over $35 Billion last year — purchased TaskRabbi (a nine year old start-up). TaskRabbit has 60 full time employees and 60,000 workers who use the platform to get jobs. TaskRabbit was started by husband and wife team Kevin and Leah Busque and raised $50 million dollars since its inception. It was reported that the current CEO Stacy Brown-Philpot will remain as CEO along with the staff, independent of Ikea. I think this was a fabulous move from Ikea. From a customer perspective it makes perfect sense why Ikea would want TaskRabbit - and we have a lot to learn about how every company can lean on the gig economy to improve customer's lives. Here are three lessons learned. Ikea can now use TaskRabbit to spend more time with customers in their homes. Ikea can help customers build furniture – and a variety of related tasks. It seems to be more profitable for Ikea to ship these large cases of disassembled pieces all over the globe, and have local gig economy workers put it together in the customer’s home. And what other services will Ikea now be able to help customers with in the future? In fact I could have used an Ikea TaskRabbit to install crown molding in my house. Companies can think differently about their brand - and their category. For example the mentality is, "Today we are a furniture company, but tomorrow we offer a full range of products and services.!" Great brands shift categories fluidly. I recently wrote about how marketers can use the new augmented iPhone capabilities to engage with customers to create rich experiences.According to recode, Ikea unveiled an augmented reality app for the iPhone, called “Ikea Place.” Customers today can now use Ikea’s apps to create a vision for what their room will look like. Forget interior decorating, any customer today can be their own interior decorator using Ikea’s augmented reality app. Not only that but those customers can create a vision and actually get help building the furniture. 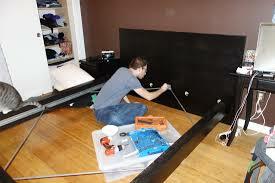 Many people stay out of Ikea because they simply don’t have the time and energy to manually put furniture together. Now those customers will get themselves to the store to enjoy Ikea's low prices.